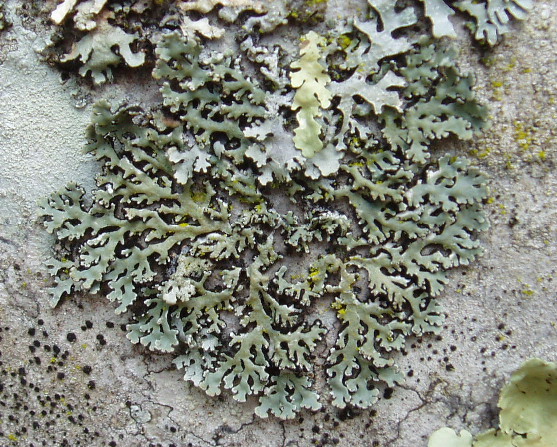 DIAGNOSTIC FEATURES: Limited size; paw-shaped, apparently inflated lobed; dense, black webby mat of hyphae below; appears velvety without handlens; compare with Hypogymnia physcodes which has wrinkled, channeled, corticate undersurface, tips with soredia. ECOLOGY: Generally eastern US where it is widespread but not commonly collected; pre-1945 records from 5 counties in Ohio; on bark exclusively. This species is probably extirpated from Ohio.